Staying productive can be a struggle without a little help. With so many options for productivity systems sometimes we want something a little simpler. Over the last year I have been experimenting with different oils and have created a collection to help with focus and resetting. When you are working mobile, this is the set to have on hand. Place a drop or so on three finger tips and massage into the crook of your neck or behind your ears. It’s the quick and easy way to use oils but be cautious, check the application area regularly. If there is any irritation, wash it off with a bit of soap and water. If you want to be a bit more cautious, then a slight sniff will be better. But let’s check out what is in here. Calm Down is perfect for when a problem is really stressing you out and you need to clear your mind. Chill Out is for when you really get into your work but need to come back to the real world (and need to relax). Get Going will kick off your work session as soon as you get to your destination. It’s a small kit that will easily fit in any bag or purse, the ultimate mobile oil set. This blend is also called “cheerful diffuser blend”, which is so true as it blasts away the seasonal blues. 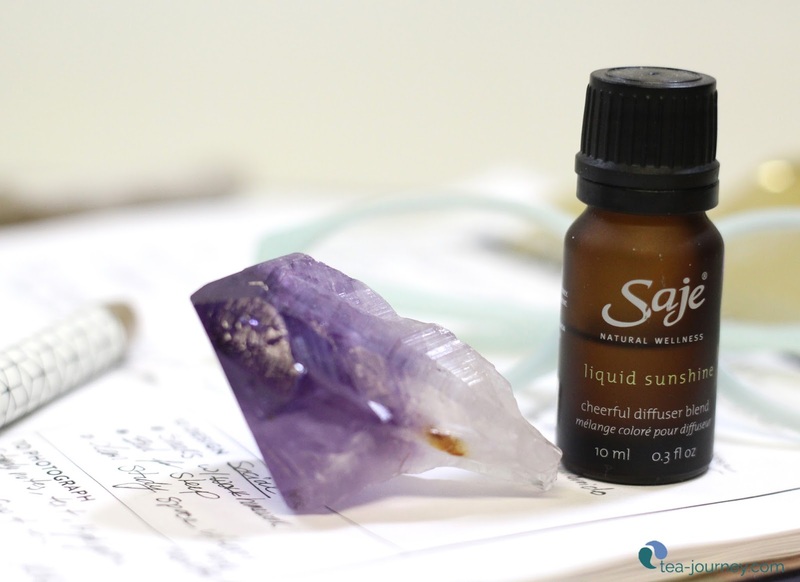 On days I know I need the extra help to wake up I turn on my nebulizer, with this oil in it that I placed there the night before. While sipping my morning cup, this oil urges me to wake up quicker than usual. 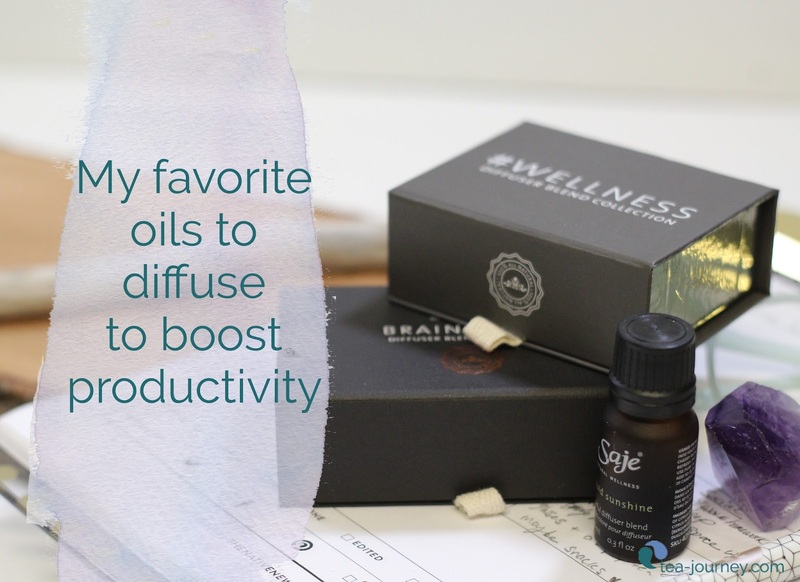 Perfect oil to jump on a project earlier in the day (for me that is anytime before 10am) or you have a few minutes to get ready before going out last minute. 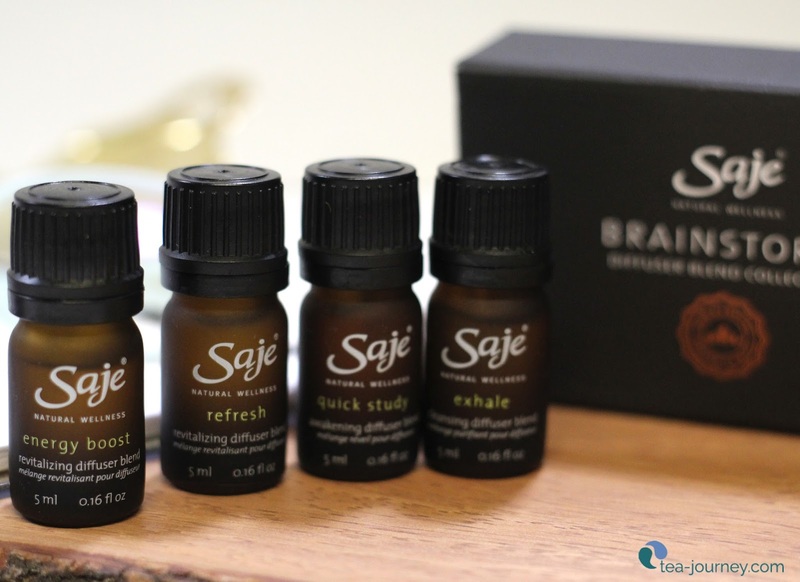 These oils can be used alone or mixed together. Such as Energy Boost with a touch of Refresh gives you just the right amount of balance, relaxed yet with a bit of a kick. Head to your nearest Saje to give them a try.